Shilajit is very useful for the treatment of so many diseases. Not only does it help in fighting off diseases, but also regulate various functions of the body. The immune modulating effect of shilajit is the same as that of an expensive supplement. The immune system protects a body from harmful toxins and diseases. Therefore, it is very important to have a strong immune system as it enables the body to stay healthy by fighting off diseases and infections. 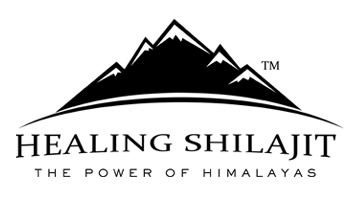 Shilajit serves as an antioxidant and anti-inflammatory agent, which washes away the free radical and toxic material and keep the body strong and healthy. Similarly, it is also very useful in regulating digestion and treating disorders related to the digestive system. 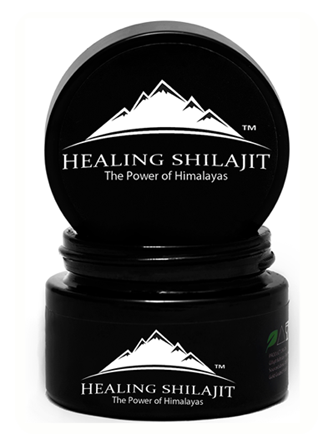 For maintaining an optimal health, it is recommended to take 300 to 500 mg of shilajit per day. 12 to 14 hours after you administer it, it reaches its maximum level in the blood. If you take the supplement with lukewarm milk twice a day, its therapeutic efficacy increases. People who suffer from gastrointestinal distress usually experience vomiting, nausea, diarrhea, constipation, and lack of appetite. Shilajit is very beneficial for them as it helps in digestion and proper absorption of food in the gastrointestinal tract. It is also helpful in treating other disorders related to digestion and provide relief from vomiting and nausea. This powerful natural supplement is rich in nutrients and it can be used as a tonic to allow for the better utilization of food. By regulating the pancreatic function to produce insulin, it helps in maintaining the equilibrium of anabolism and catabolism in the body. Shilajit also serves as a laxative. In a 1989 study conducted by Frawley, it was suggested that this natural supplement can be used as a gastric tonic. Similarly, in another study, it was found out that shilajit improves carbohydrate and protein ratio in the body, which eventually reduces the gastric ulcer index. The presence of 4-methoxy 6-carbomethoxybiphenyl and fulvic acid in this powerful resin reduces the acid-pepsin secretion and cell shedding. It is also very helpful in the treatment of ulcer. There are two basic functions of the immune system in a human body; a cell-mediated immune system generates T-lymphocytes to protect the cells from viruses and the human immune system creates B-lymphocytes that devours phagocytic cells or foreign cells. This is the reason why it is important to maintain a healthy immune system to allow normal functioning of the body. Low immunity leads to flu, acute respiratory infections, SARS, skin ulcers, sinusitis, and bronchitis. It also causes cystitis, allergic reactions, lupus, toxic goiter, myasthenia gravis, rheumatoid arthritis, thyroiditis, scleroderma, and increased lymph nodes or spleen. None of these symptoms should be ignored, because if the immune system becomes weak, it can lead to illnesses that are hard to recover from. Shilajit has anti-allergic property and it is used in the treatment of so many diseases, including thyroid disorders, sexual disorders, obesity, jaundice, chronic fever, parasitic infection, and even AIDS. Shilajit contains a total of 85 minerals in ionic form. One of the most useful compounds found in the supplement is fulvic acid, which has anti-inflammatory and antioxidant properties. It allows the body cells to absorb all the minerals for the production of energy, which eventually enhances metabolism and makes the body stronger. In addition to regulating the equilibrium of anabolism and catabolism, shilajit enhances the detoxification and the absorption capacity of the body and stimulate the immune system.